Let us do the leg work and find the Home Loan that works for You! We compare over 500 loan products from more than 40 lenders including major banks. Investors Mortgage has been helping first home buyers and investors since 2007 with the mission of creating extraordinary mortgage solutions for Australians. 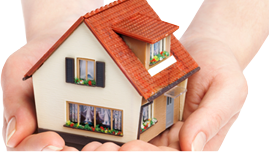 Investors Mortgage has always sought out the nation’s most creative and responsible lenders. This enables us to be one of the nation’s most respected mortgage brokers. Fair– No margins on any loans – We don’t add any margins to any loan products that we offer. You get exactly the same interest rate, if not better, then you would by walking into any bank. Honest – We don’t push any particular lender and their products over another. Lenders and products are recommended purely on their merits and their suitability to the client. Communication – We update clients on progress of their loan application via email and phone every 3 days via our e-Update system. Long-term View – We structure loans for long term benefit of our clients. Can’t decide which bank has the best loan? We can negotiate discounts and lower rates with all Major Banks on your behalf.